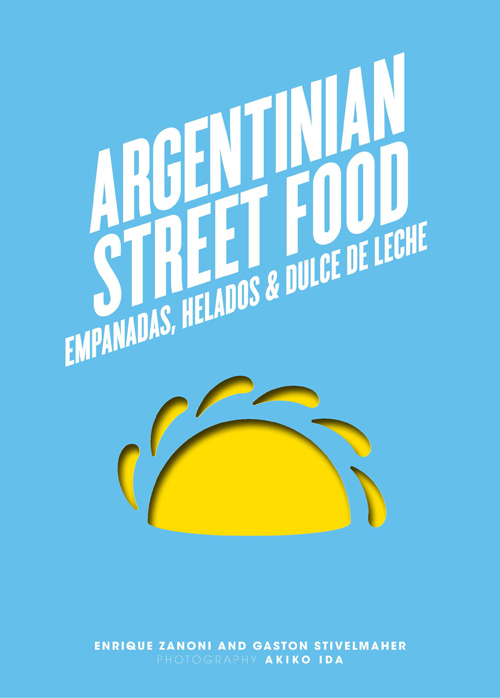 'Argentinian Street Food' (Murdoch Books, RRP $29.99) by founder Enrique Zanoni, and chef Gaston Stivelmaher of Clasico Argentino is dedicated to authentic recipes drawn from their three Parisian restaurants and food truck that's been running in France since 2011. 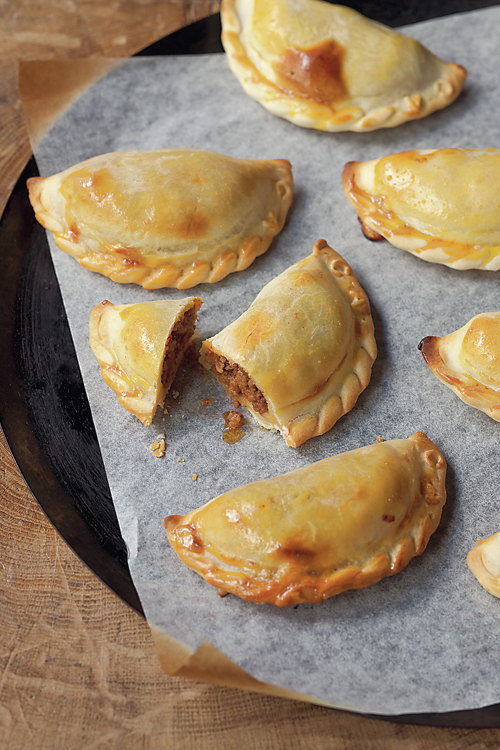 As well as this mouth-watering empanada, their book includes a selection of sauces and toppings, pica pica (meaning small dishes) and of course, helados - Argentina's version of gelato. Traditionally, the repulgue (meaning 'hem') dictates the filling inside. In the book you can learn about the traditional styles, as well as some creative ideas from Clasico Argentino. Cut 325g (11 ½ oz) of unsalted butter into small cubes. Sift 1kg (2 lb 4 oz/ 6 2/3 cups) of plain (all-purpose) flour into a large bowl. Add 25g (1 oz) of salt and the cubes of butter. Rub the butter into the flour and salt with your hands until you have a sandy texture with no lumps. Add 350ml (12 fl oz) of water and combine with the flour mixture using your hands. Add a little more water if necessary. Knead the dough on a lightly floured work surface for 10-15 minutes. Form into a ball. Wrap in plastic wrap and refrigerate for 2 hours. Sauté the onion and capsicum in a saucepan with a little oil over low heat for 10 minutes. Season with salt and pepper. Remove the vegetables from the saucepan and set aside. To the same saucepan, add a little more oil and sauté the meat over high heat. Once the meat has browned, reduce heat to low and add the onion and capsicum. Continue cooking for about 15 minutes, stirring from time to time. Stir in the aji moido, if using, cumin, paprika and cinnamonand mix well. Let the filling rest for 24 hours in the refrigerator, if possible, for a more intense flavour. Stir the spring onion into the mixture before assembling the empanadas. A selection of the different repulgue used by Clasico Argentino. Preheat the oven to 190'C (375'F/ Gas 5). Sprinkle a little flour on the work surface. 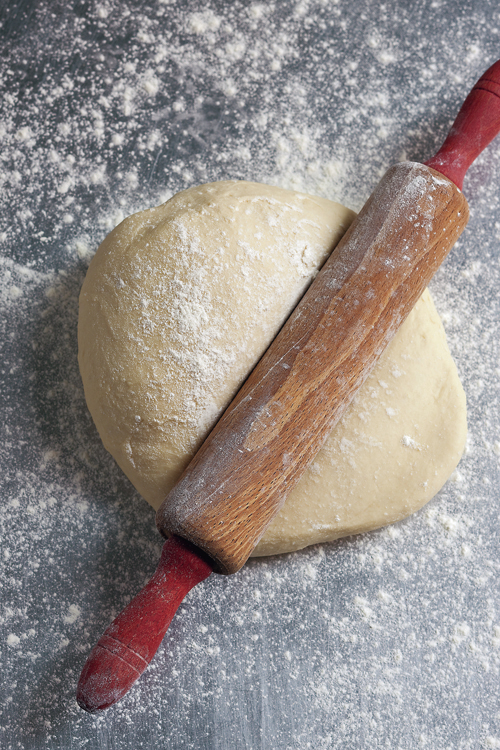 Roll out the dough to a thickness of 3mm (1/8 inch), and cut out circles with a 14cm (5 ½ inch) cutter. Using a 60ml (2 fl oz/ ¼ cup) ice-cream scoop or measuring cup, form small balls of filling and place one on each round of dough. Lightly moisten the edge of the dough with a little water and fold over into a half-moon shape. Seal the edges and give them the 'carne' decoration or an edging of your choice. Set aside in the refrigerator if not cooking immediately. 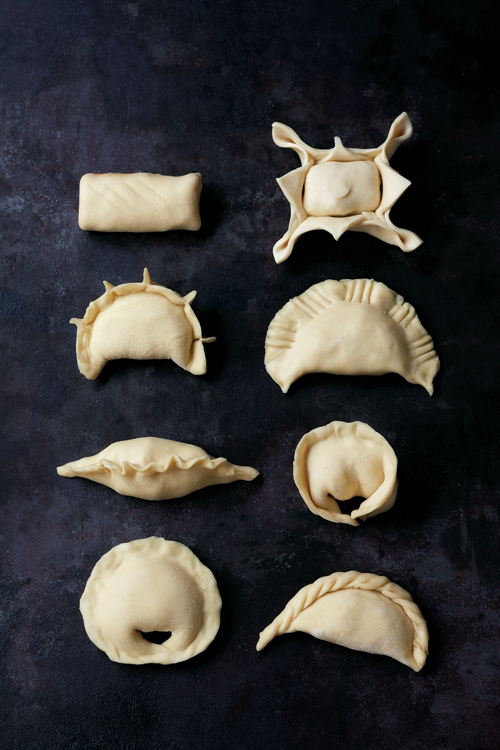 Arrange the empanadas on a baking tray lined with baking paper. Brush with egg yolk and bake for 20 minutes, or until golden and cooked. Allow them to cool for a few minutes before serving. Recipes and images from Argentinian Street Food by Enrique Zanoni and Gaston Stivelmaher, Murdoch Books, rrp $29.99, photographed by Akiko Ida. Update: this promotion is now closed. Congratulations to Marlene C!